There’s something very homely and comforting about cottage pie, it’s certainly perfect to have on these cold evenings; a real Winter warmer. I try to sneak in extra vegetables in my pie and also I like to switch the topping each time I make it. 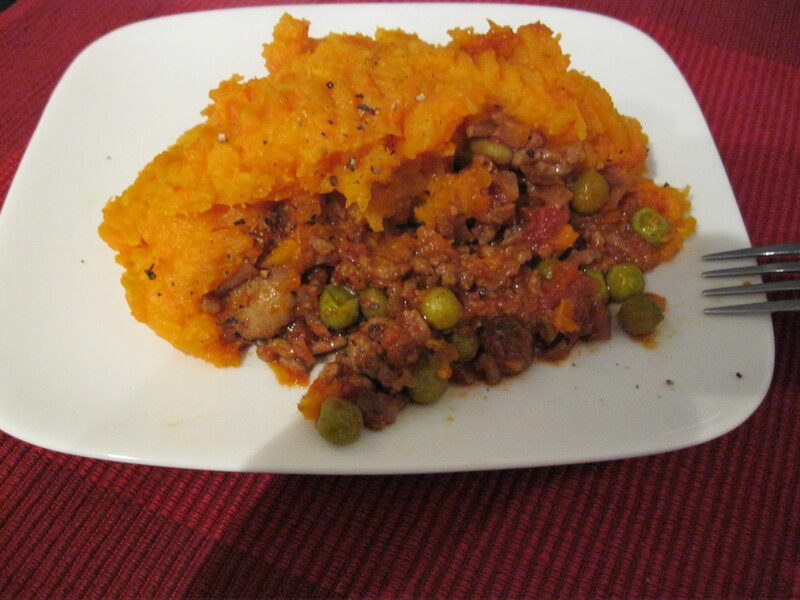 This recipe uses sweet potatoes and carrots but I’ve used sweet potatoes and parsnips, celeriac and the classic white potato. Use what you have at hand, you can also switch up the veggies used. Make it your own. 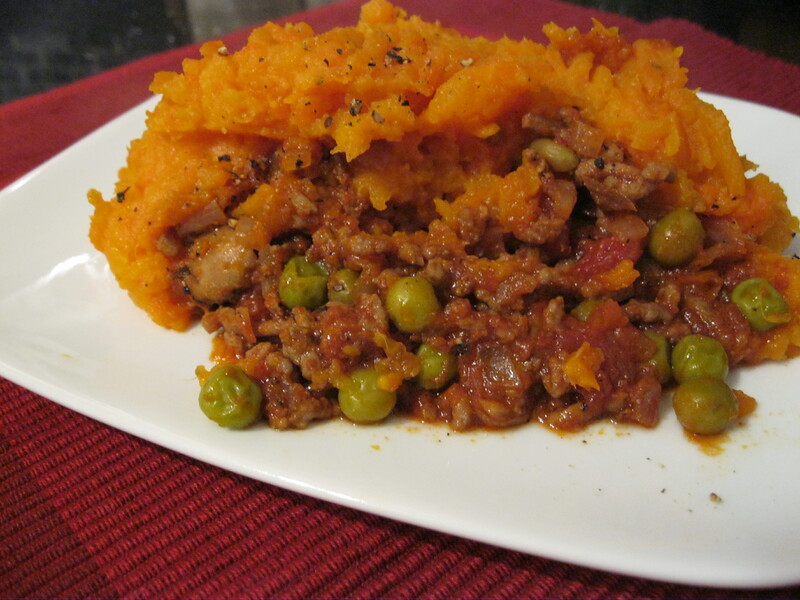 This recipe serves 2 but in the past I’ve made the mince mixture and portioned it in to individual sizes and frozen it so it’s easy to defrost and you just need to make the topping and pop it in the oven. In a large sauté pan, heat the oil over a medium heat and add the onion. Cook for a few minutes then add the garlic, continue cooking until the onion is soft and translucent. Turn the heat up high and add the minced beef. Cook quickly over a high heat until browned. Drain off an excess fat. Turn the heat down to medium and add the mushrooms. Cook for 2-3 minutes until the mushrooms take on some colour. Add the tomatoes, tomato puree and water, Worcestershire sauce, bay leaf and peas. Give everything a good mix, bring to a boil and then reduce to a simmer. Cook, uncovered for 30-40 minutes until sauce thickens. To make the topping, add the chopped potato and carrot to a pan of boiling salted water and cook for 10-15 minutes until the vegetables are fork tender. It is best to let your mince mixture cool slightly before adding your topping else your topping may sink! Pour the mince mixture in to a ovenproof casserole. Cook your pie for 35-40minutes until the edges are brown and it is piping hot. this is delicious!!! i couldn’t find sweet potato, so i used a regular potato with carrot. Definitely a comfort food. thank you!